Some news does not reach the world easily, if at all, while other news does, seemingly without effort. News regarding racist attacks on Roma usually belongs to the former category, while news highlighting their alleged asocial or criminal status belongs to the latter. In June 2018, an organized, poorly reported attack on Roma took place in Kiev, Ukraine. It was announced the day before and broadcast live on Facebook by the organizers, extremists from the Azov National Militia. No police intervention took place, either before or during the violence. In several serious attacks in Ukraine recently, the Roma were forcefully expelled; axes and hammers were used in the June assault, while Roma shantytowns were burned down, and tear gas used to expel their inhabitants. Let us also consider another persistent, yet almost unknown pattern of violence: over the last three decades, a significantly high number of Roma have been killed or heavily injured while collecting wood in Central and Eastern European forests, or scrapping metal in the region’s dilapidated industrial zones. Last October, one man was shot dead in Romania. In April 2017 in Bulgaria, two men were heavily beaten and kicked, one of them fatally. Both abuses took place in forests. In many of these cases, foresters, private security guards, police officers, or joint forces, hunted for Roma. Gathering firewood in private or state forests has been made illegal since 1989 in most Central and Eastern European countries, though many of the region’s moderate municipalities have agreed with local Roma on this issue in exchange for fees or municipal services. Nonetheless, the poorest and most segregated Roma who collect wood for cooking and heating continue to risk their lives when entering forests. On the other hand, many will remember the headlines when, in October 2013, a ‘blond, blue-eyes girl,’ widely dubbed ‘angel Maria’ in the media, was ‘discovered’ in a Greek Roma shantytown and taken away by the police because they suspected that she had been ‘stolen’. In what would become one of the biggest anti-Roma racist news stories of the last few years, the age-old myth of ‘Gypsies who steal white children’ was fully and uncritically circulated in many media around the world. However, Maria turned out to be a Roma girl – she had not been stolen – but this news failed to reach her global audience and, if it did, certainly not with the same intensity as that of her previous mythological status as a ‘white’ innocent child stolen by ‘dangerous Gypsies’. These stories and the ways in which they were or were not covered in the media say a lot about the current state of affairs regarding both institutional and everyday practices of Romaphobia and antigypsyism, terms that are increasingly used to describe anti-Roma racism. The situation of Roma minorities is one of the least understood in the context of citizenship and human and minority rights in contemporary Europe. Many still believe that the Roma are a kind of travelling or otherwise ‘irregular’ people who live in an exceptional situation without (clear) citizenship in EU countries. The reality is that Roma are citizens of the European states in which they were born and, therefore, enjoy the rights of EU citizenship. Nevertheless, when exercising the EU right to free movement, Eastern European Roma face the real possibility of being evicted or deported from countries such as France, Spain and Italy. And when they do not travel at all, particularly the poorest and most segregated Roma have been confronted with serious barriers to adequately exercise their citizenship because, due to persistent institutional forms of racism, they are faced with limited or no access to public services, including housing, employment, health care, education, police protection and justice. At the same time—and this has often been among the official or unofficial reasons for their precarious citizenship—in many places the Roma have been ‘securitized,’ that is, considered as security threats, for instance in the context of public order, national security or human security. This complex situation has led me, together with my colleagues Ana Ivasiuc and Regina Kreide at the Justus-Liebig University Giessen in Germany, to research why the Roma tend to be dealt with differently than other EU citizens, despite their European citizenship and the large-scale development and human rights programmes that have been dedicated to them throughout the continent. We go beyond merely juxtaposing the ways in which the Roma have been problematized in terms of security and how they have been framed along the lines of citizenship, human rights and development. We show that regimes of security and those of development, citizenship, human and minority rights and mobility overlap considerably and, on the ground, how these intersections have played out with great ambiguity. What is particularly striking is that Roma have primarily been approached as either ‘people at risk’ or ‘risky people’ and, thus their ‘risk’ profiling strongly dominates, leaving little space for more productive ways of seeing and approaching this persecuted minority. At the same time, particularly since the early 1990s, transnational Roma and pro-Roma networks of human rights activists have managed to present the situation as a ‘human emergency’ to get ‘them’ onto European institutional agendas. Key human rights organizations, such as the European Roma Rights Centre (ERRC) in Budapest, have played an incredibly important role in getting complex, lost or frustrated cases, before national courts, and ultimately to the European Court of Human Rights in Strasbourg. Since the end of the 1990s, the vast majority of cases have been won in favour of Roma. Yet, delayed court decisions have often led to more symbolic forms of compensation rather than effective condemnations. Worse still, in important successful court cases, such as those against the Czech Republic, Croatia and Greece regarding the school segregation of Romani children, these illegal practices have continued regardless. I already suggested that the Roma are often problematized along the lines of being either people ‘at risk’ or ‘risky’ people. In practice, the boundaries between these two perceptions of Roma have been blurred considerably, implying that their representation as victims or people living in difficult circumstances intersects with their criminalization and the idea that you cannot trust them – that they are actually perpetrators responsible for the troublesome situation in which they live. This double imagery has a long history and is still firmly embedded in our visual and narrative cultures; it determines how both institutional and everyday racism against Roma function in our societies. These patterns are strongly connected with what I have called the emergence of ‘reasonable antigypsyism’ in Europe, the idea that society is ‘rightfully’ entitled to treat the Roma differently and enact unorthodox measures against them. This is what David Goldberg would call a form of ‘racial reversal,’ in which not only ‘blaming-the-victims’ arguments are invoked but, worse, the historically dispossessed are also considered as the principal perpetrators of racism. The current manifestations of ‘reasonable antigypsyism’ are very hard to challenge, particularly now that populists and nationalists throughout and beyond Europe make racism increasingly palatable, usually on the basis of already well-established structural and institutional forms of prejudice. At the same time, it is in combatting ‘reasonable’ antigypsyism, and how it has been used to violently target Roma, that those who want to combat anti-Roma racism could and should meet. Over the last couple of years, at European and national levels, Roma and pro-Roma activists have lobbied quite successfully for the recognition of antigypsyism as a specific form of racism. Whether the recognition of antigypsyism, as the ‘Roma’-related equivalent of antisemitism and Islamophobia, will help to articulate and combat the violation of the rights of Roma more effectively remains to be seen. Yet, the on-going levels of exclusion and marginalization are such that it has to be attempted; the toxic mixture of anti-Roma spectacles and hidden violence enabled by governments, in particular, must be challenged. Huub van Baar is Assistant Professor of Political Theory at the Institute of Political Science, University of Giessen, Germany. He is also Senior Research Fellow at the Amsterdam Centre for Globalisation Studies (ACGS), University of Amsterdam. 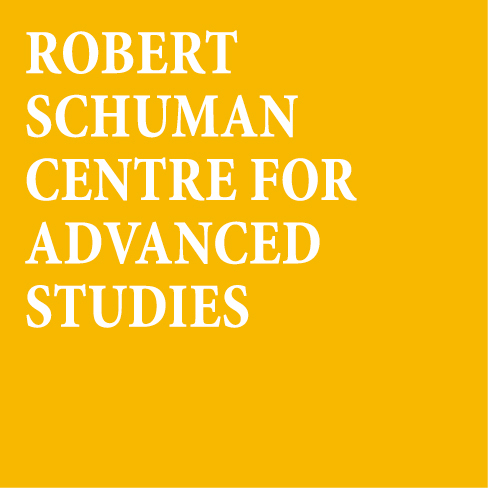 Huub authored The European Roma: Minority Representation, Memory and the Limits of Transnational Governmentality (Amsterdam: F&N, 2011), is the main editor of The Securitization of the Roma in Europe (New York: Palgrave Macmillan, 2018), and of The Roma and their Struggle for Identity in Contemporary Europe (Oxford: Berghahn, forthcoming 2019). Christopher Miller, “With Axes and Hammers, Far-Right Vigilantes Destroy Another Romany Camp In Kyiv”, Radio Free Europe/Radio Liberty, June 8, 2018. Christopher Miller, “Deadly Attack Escalates Violent Trend Against Ukrainian Roma”, Radio Free Europe/Radio Liberty, June 25, 2018. See also Jonathan Lee, “Roma Sue National Police in Ukraine after Far-Right Attacks”, European Roma Rights Centre, June 26, 2018. Bernard Rorke, “Bi-weekly Roma News Review: October 15-30”, European Roma Rights Centre, October 2018. Swain Uber, “Roma Lives Matter: Bulgarian Rom killed for ‘Possession of Pesticides’”, European Roma Rights Centre, April 2017. See also, for instance, “Bulgarian Police and Forest Rangers Shoot and Kill Roma”, European Roma Rights Centre, October 29, 2003. For more information on the case of ‘Maria’ and its wider context, see Huub van Baar, “The Emergence of a Reasonable Anti-Gypsyism in Europe” in Timofey Agarin (ed.) When Stereotype Meets Prejudice: Antiziganism in European Societies. Stuttgart: Ibidem Verlag, 2014, pp. 27-44. Huub van Baar, Ana Ivasiuc and Regina Kreide (eds) (2018) The Securitization of the Roma in Europe. Human Rights Interventions Series. New York: Palgrave Macmillan. This book has been published in the context of a long-term research project on the formation and transformation of Roma minorities in modern European history that is part of the research programme Dynamics of Security: Forms of Securitization in Historical Perspective, funded by the German Research Foundation (DFG), 2014-2021. See, for instance, the special issue “Implementation of Judgments” of Roma Rights: Journal of the European Roma Rights Centre, No 1, 2010.
 van Baar, “The Emergence of a Reasonable Anti-Gypsyism in Europe”. David Th. Goldberg (2015) Are We All Postracial Yet? Cambridge: Polity, p. 30.